Satiny and feminine, pearls are the birthstone of June and an elegant accessory for any occasion. 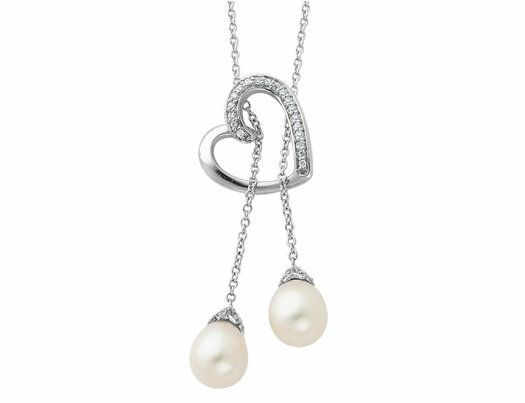 This Sentimental Expressions "Two Become One" necklace is delicately crafted in sterling silver and features two oval freshwater pearls. Complete with a touching poem expressing your love, this will make a perfect wedding day gift to show how much you treasure her.